(i) Kshitij Polyline Limited was incorporated on March 26, 2008, in Mumbai. The company was incorporated by – Mr. Bharat Gala & his family members with an aim of running Manufacturing, Marketing, Sourcing of Plastic Sheet, lamination sheet, Folders, I card and Files having wide application in printing and stationery. (ii) The company has successfully launched wide products range, established goodwill for quality products and have the regular clients for the Laminated & PP sheet, Wiro, File, and folders. The company has developed and launched more than 125 products range in File, Folder & Diary under their Brand in Indian Market. (iii) The company has B2B website www.kshitijpolyline.co.in and shortly launching B2C website as well. They sell their products not only in India but exports to many countries such as Bhutan, Uganda, Kenya, South Africa, Spain, Dubai, Srilanka, Europe etc. 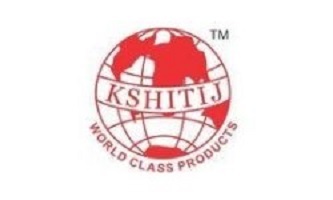 Promoters of Kshitij Polyline Limited Company are: Bharat Hemraj Gala, Chairman and Managing Director of the company, is Diploma in Plastic Engineering from Shree Bhagubhai Polytechnic College, Mumbai, and has more than 15 years of experience in Plastic & Stationery Industry. He started the business of manufacturing Plastic Stationery and Laminated & PP Sheets. During his career, he has developed a wide range of products with versatile application in lamination sheet, PP sheet, Office stationery accessories, Wiro Products and Files & Folders. He has continually kept himself updated about new technologies by visiting and participating in International and Domestic Exhibitions and trade fairs. Mr Hemraj Bhimshi Gala is Promoter of Kshitij Polyline Pvt. Ltd. He has an experience of more than 35 years of product development, trading of stationery, channel management and brand creation. He shares this valuable experience in moulding the marketing strategies of the company and R&D for new product development. He manages the channel for KPL & actively participates in enhancing the brand of KPL products. Ms Rita Bharat Gala, a Non-Executive Director with KPPL, is B.A in Economics, from Mumbai University and has more than 10 years of experience in customer relationship management & Human resources she has single-handedly managed ample exhibitions and fairs. She is familiar with a lot of software and her skills help her play a supportive role in many management activities. The company has done the right issue at Rs.15 in March 2018 and now issuing shares to the public at Rs.35. Conclusion: The Company has manageable debt. Let us understand why the company is raising funds from the market?? (i) The company has a manufacturing facility in Silvasa and in order to enhance the existing capacity company has decided to purchase Machinery used for manufacturing of wiro, laminated sheet, PP sheet Silvassa. (ii) The company has available space of 3200 sq. meters at Silvassa The space required for additional machines and equipment is approximately 375 sq. meters. (iii) Out of total 8.75 Cr raised from the issue, ~4.28 Cr will go for this activity. (ii) 3.25 Cr will be used for working capital requirements.